Wondering where to buy a bullet journal? If you’re anything like me, you looked high and low for a bullet journal at your local stores and could not find one. Not only could I not find the infamous Leuchturm 1917, but I couldn’t even find a dotted notebook of any size. It was so frustrating! Note: This post contains affiliate links. Read my disclosure page for more information. I’m still puzzled as to why more stores haven’t caught up to this trend and started keeping dotted notebooks on their shelves but the good news is you can still get them, it just takes a little more effort sometimes. For me, the best place to find a bullet journal is… you guessed it, Amazon! Amazon pretty much carries all of the best bullet journals and then some. So you’ll have your pick of colors, price and more. Where to Buy a Bullet Journal and Options! The Leuchturm 1917 – the one and only! The Leuchturm fancy metallics. I personally love the copper one. So pretty! The original Bullet Journal website also sells them emblazoned with “Bullet Journal” across the front. Moleskine – This underwater blue dotted notebook is gorgeous! Dingbats – I just love the one with the elephant on the cover. Simple but cute! 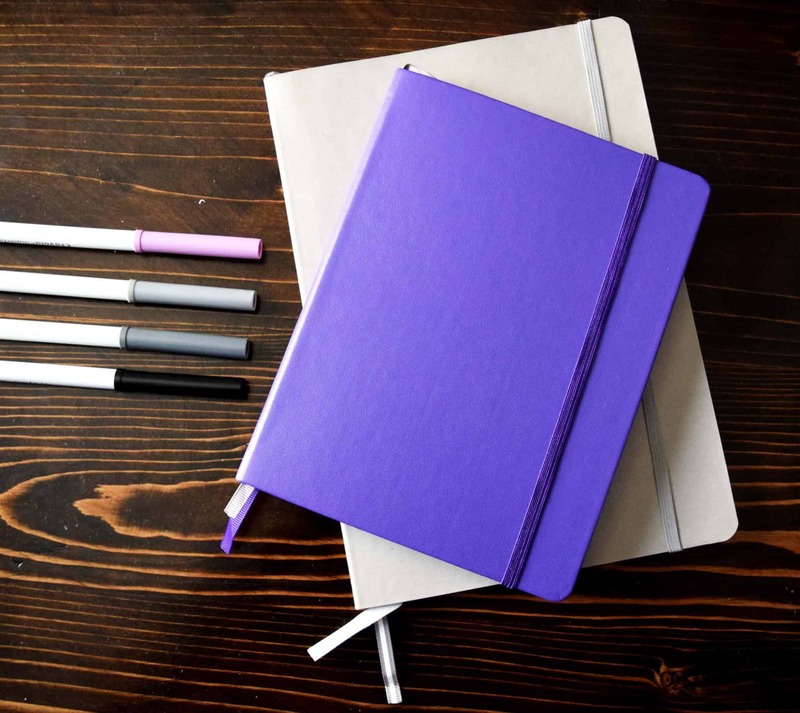 You can get a really awesome selection through their site and get your bullet journal in almost any color imaginable. And you know, sometimes some brush pens and washi tape sneak into my cart as well. I’ve just accepted that’s going to happen from time to time. My other new favorite place to buy them is Michael’s. Through their Artist Loft collection they’ve come out with a range of new notebooks that have everything from lined and graph paper to dotted. They’re not the original, but they are pretty dang good! Target also typically carries a couple of different brands of dotted journal, and I’ve noticed the stores pretty regularly carry the Moleskine dot grid journal. Thanks to a comment below, I also learned Walmart now carries dot grid bullet journals in a variety of sizes. Michaels has them for $5 in tons of cute colors. Dots and grids. Yes! I really like the ones that Michaels carries. They are affordable and cute.